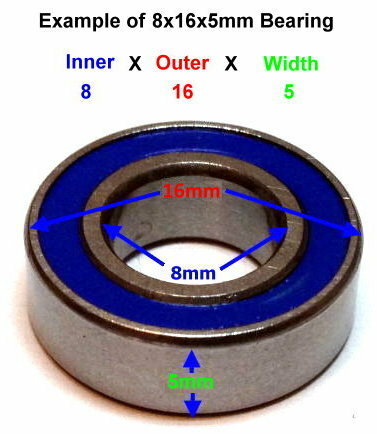 How to Measure Bearings and what order are the sizes measured in? 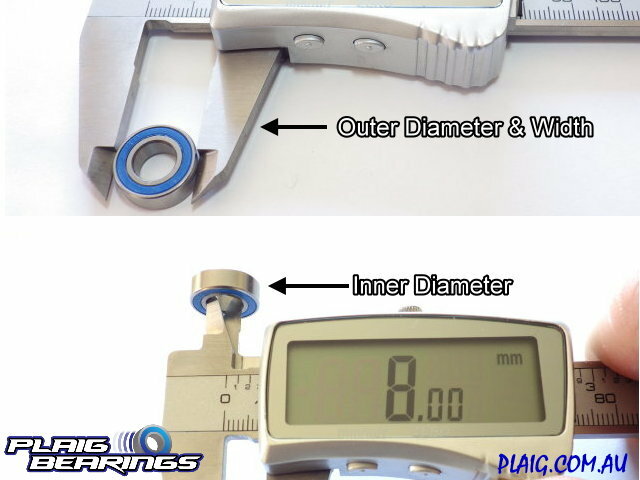 Measuring Bearings can be simple but often you may see variations in the way that bearings are listed, there is a universal method that is used by most manufacturers and we will explain this in further detail. Vernier Calipers are the most accurate way to measure a Bearing, if you don’t have any handy then a ruler will give you a rough guide. Most calipers have 2 Jaws for measuring, as shown in the picture below, the “Outside Large Jaws” are used to measure the external diameter or outer diameter (Od), these are also used to measure Width. The “Inner small Jaws” are used to measure the internal diameter (id). The sizes can at times get confusing, when looking for a 3x8x4mm bearing it’s easy to stumble across something like a 4x8x3mm by accident. Here we will show you which number comes first, second and third when measuring. Our example Bearing is an 8x16x5mm. This Rule of Measuring in this particular order is universal. Whether its for Fishing Reels, Skateboards, RC Cars, Engines etc. 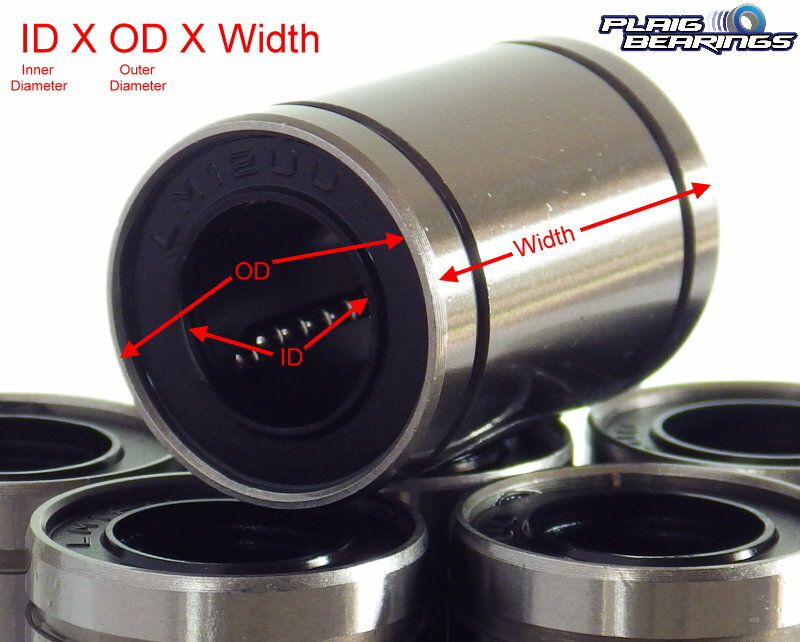 Linear Bearings are measured the same way as regular bearings, it can be a little confusing because the width is usually the largest part but refer to the below picture if you get stuck.